As any online teacher can tell you, using the Internet to teach English comes with a host of benefits. You can work from home, giving you the flexibility to choose your own hours. If you so please, you can even continue working while traveling the world, so long as you have a stable Internet connection. 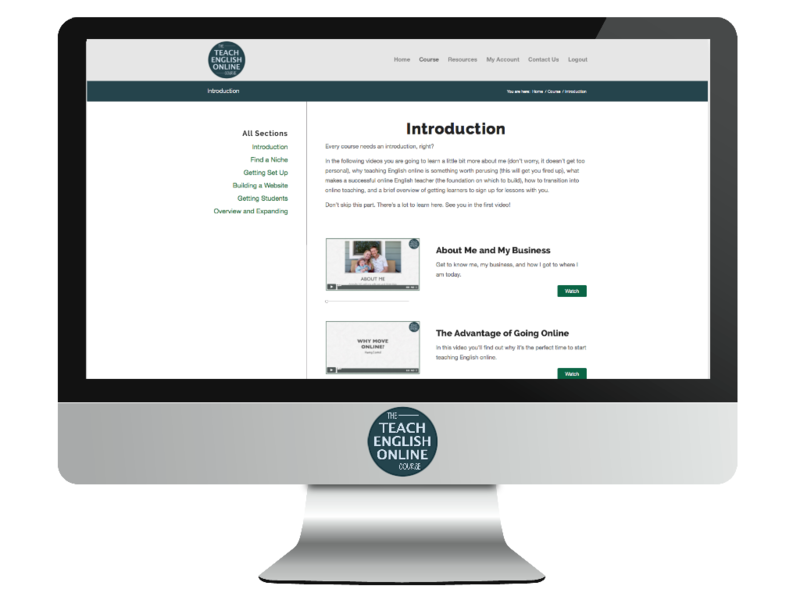 And with the vast collection of lesson ideas, tips and tricks, and other useful resources that is available online for free, there’s never a shortage of materials to use for online classes. My favorite aspect of teaching online, however, is that it opens the door for meeting diverse people from different cultures. 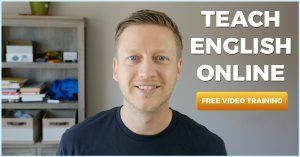 Indeed, given that your students will be from all over the world, teaching English online gives you the unique opportunity to meet people with different stories, opinions, and life experiences. 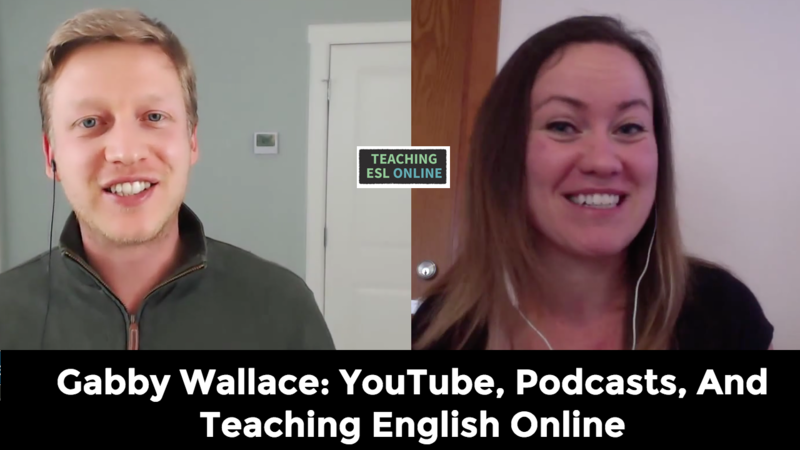 In this way, online English teachers serve as both linguistic and cultural liaisons for the English-speaking world, a role that is both challenging and extremely rewarding. A great way to teach students about both language and culture is to incorporate elements from pop culture into lessons. Specifically, I’ve found it particularly fruitful to introduce grammar points with clips from popular music and television. And luckily, with the technology available on video platforms like Skype and Zoom, it’s easy to share these clips with students, even if they can’t access YouTube or Netflix on their own computers. As an online teacher, your students will come from all over the world. As such, they will struggle with different grammar points, depending on their native language. Notoriously, Spanish-speaking English learners struggle with the difference between the prepositions “in” and “at” when talking about location (e.g., “I’m at the mall in New York), as in Spanish both concepts are expressed with the same preposition, en. With prepositions of place, “at” is generally used to specify a specific location — at the restaurant, at the entrance to the park, at 100 Main Street. Conversely, “in” is used to indicate a general, imprecise location — in the city, in New York, in the ocean. Sure enough, the lyrics to Payphone show this: the singer is “at a payphone” (a specific location), and laments that the sun sets “in paradise” (a vague, general place). In addition to giving students a real-life example of prepositions of place being used in English, this is a great way to pique students’ interest and open the door to other topics. For instance, after talking about prepositions of place, you can segue your way into prepositions of time, which follow the same pattern of specificity (e.g., at 8:53am vs. in the 1990s). And if you (and your student) are feeling brave, you can introduce “on”, which generally falls somewhere between “in” and “at” in terms of specificity (e.g., at 8:53am on Friday in January). As I mentioned before, the aspects of English that students find to be difficult will depend on their native language. Whereas Spanish speakers may struggle with pronouns, Mandarin Chinese speakers may struggle with the concept of definite and indefinite articles (i.e., “the” and “a”), as Chinese does not contain articles. Though the grammar underlying English articles is littered with exceptions, in general, definite articles refer to a specific object or person (e.g., “Look at the man over there”), whereas indefinite articles refer to any non-specific item in a group (e.g., “I want to see a movie”). 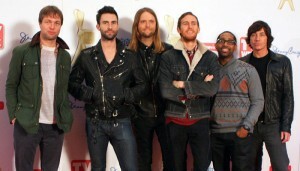 And in just three sentences, Wayne produces five instances of the indefinite article “a”. His emphasis on the article when he proclaims, “I don’t even own a gun!” is both humorous and really drives home the essence of the indirect article: Wayne speaking in non-specific terms; he does not own any gun. You can follow up this scene with several questions that further illustrate the difference between definite and indefinite articles. For instance, you could ask your student if they have ever seen a gun rack before, and if they recognized the gun rack that the woman was holding. And further, depending on your comfort level with your student, this could potentially open up an interesting cultural discussion about gun ownership. In China, gun ownership is highly regulated by law — my student was surprised that owning a gun is both legal and fairly common in certain parts of the United States, which led to an interesting discussion. Whether teaching prepositions, articles, or anything in between, showing a clip from a song or movie is a great way to ease students into grammatical topics that can otherwise be frustrating or tedious. And with the possibility of screen-sharing on Skype, Zoom, or Google Hangouts, you can share these materials with your students even if their access is limited by their location (my student couldn’t view the Wayne’s World clip, for example, from his computer in Shanghai). Ultimately, as online English teachers are often tasked with the dual role of linguistic expert and cultural ambassador, sharing clips from pop culture is a great way to teach your students simultaneously about both language and culture. 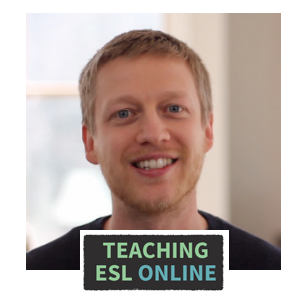 Paul is an English teacher who gives classes in-person and online in Buenos Aires, Argentina. He writes on behalf of Language Trainers, a language tutoring service offering personalized course packages to individuals and groups. You can check out their free English accent game and other language-learning resources on their website. Feel free to visit their Facebook page or contact paul@languagetrainers.com with any questions. Do you have any resources, lessons plans, or tips for using popular culture in English lessons? If so, let us know in the comment section below. In this post, I interview my friend Stephen Mayeaux over at ESLHipHop.com. Stephen started his blog after his experience teaching an elective course at UC Davis. 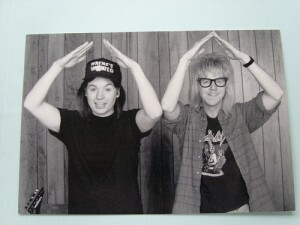 His main focus at the university was academic preparation, but in his elective, he was free to do something different. This is when he started using hip hop in the classroom. 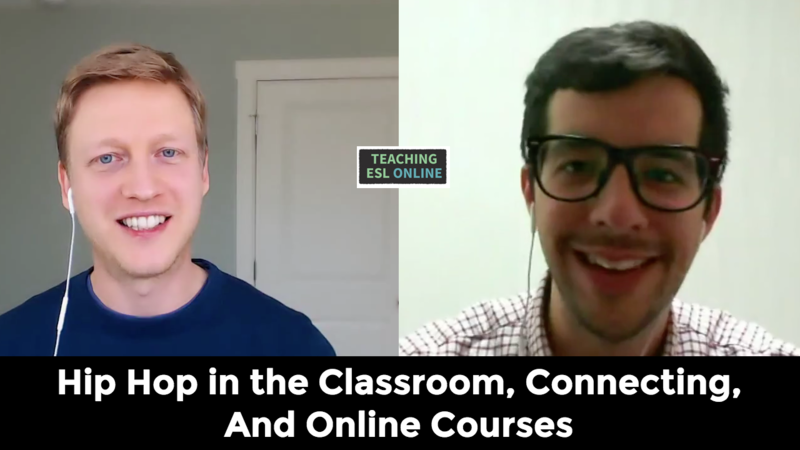 In this interview, we go deep with his use of hip hop with his English learners, the feedback he has received on this, how he got started online, and then, we learn about a new course he is creating for a specific niche. We start off with how we connected, and briefly talked about the importance of making connections when working online. I love how he talks about the struggles he had when he first started using hip hop in the classroom. This was mainly due to the cultural differences, and he gave the example about his Japanese students not understanding the social issues of the police in the U.S. He had his friend help him create his site using WordPress (he is now quite adept with coding). The feedback he received from the lessons he created was really positive, both from teachers and students. He blasted 100 lessons out in the first year, but has slowed down his output since to about one lesson per month. If you want to use hip hop in the class, he recommends going back in time to the old school era, for example, The Beastie Boys and MC Hammer. Additionally, he recommends using the hook and the chorus of modern hip hop. I really wanted to know about the response Stephen has had about using hip hop in the classroom. I love his answer to this: he is focusing on his students and what they can get out of it, and that, haters gonna hate! But generally speaking, he hasn’t received much negativity. We then moved on to what Stephen is currently doing; he is in Korea at right now working for a local school – we talked about how they are trying to introduce new teaching methods there. He has a new video course coming out in March in a very specialized niche: OPIC. It’s not a very well known exam, but after seeing that his students were asking for more help in this area, he decided to create something for them. He is creating the content for his course based on what his learners are asking for. We then talked about deadlines and the power of setting a specific deadline (his deadline is March 14/15th – he wants you to hold him to this!). He has hired a freelance marketer to help him with the marketing side of things. I then talked about outsourcing, and specifically, the two types of tasks to outsource: tasks that you are not skilled at and don’t want to learn; and also the mundane and repetitive tasks. In my case, outsourcing the transcripts for my course helped me in a great way. We then moved on to social media, and how he uses Facebook and LinkedIn. We focused on using these platforms to make and maintain connections. An example he gave was connecting with Gallery Languages and how they have partnered on many projects. Have you used hip hop or other music genres in your lessons? Have you thought about creating a course for English learners? You can connect with Stephen by using the contact form over at ESLHipHop.com. You can also connect with him on Twitter, Facebook, and LinkedIn. I was introduced to Zoom a couple of years ago from James Heywood at Off2Class. I’ve used it myself when I experimented with group lessons in 2014, and I have noticed that more online teachers are using this software to deliver their lessons. In the video below, I talk about the difference features that you can use with Zoom (including one that works like a whiteboard), and the advantages of using this platform. When you schedule a meeting, you can choose to make it recurring. This is a great option to have for learners who take lessons at a set time each week. You will receive a meeting ID and a link when you schedule a lesson, and this can be shared with your student(s). Additionally, you can automatically add it your online calendar. 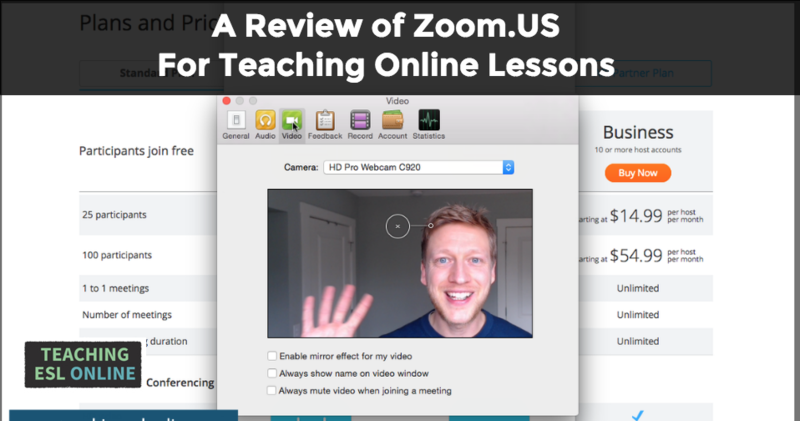 Your learner will need to download Zoom to be able to connect with you. There are many settings inside Zoom; the vast majority are similar to other video conferencing software (like audio, video etc.). The recording feature is something I highlighted in the video. You are able to record your lessons automatically to a specified folder. Zoom is free to use for most uses. 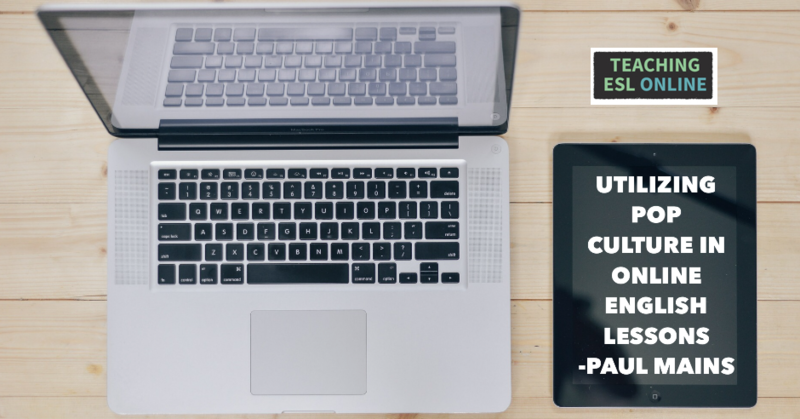 The only reason to upgrade is if you are taking group lessons that last over 40 minutes and/or you want to use it for a webinar. The one drawback is that it isn’t well known. This means that you will have to educate your learners on how to use it, and they will have to download the application first. But this can be easily done through a one page PDF or quick video that you can give your learners with instructions on what to do. Have you used Zoom before? If so, is there anything you would like to add? If you haven’t used Zoom, still comment and let me know if you are thinking about trying it in the future.